Do you work for Blender? Image based Animation becomes difficult to perform, For me personally i tried to get an image hand created and perform animation but it kept getting difficult to animate the image. Blender can provide some sample projects along with where in user can use that project modify the same to get better understanding and clarity so that going forward it can be a learning as well as hands on experience to attract. Great tool to start learning Animation and grow further more in same tool. Can be very handy in many ways but only consideration which i feel is its bit difficult to do animation based upon the images. For example its bit tricky to just create a character and perform animation on that. Better to view some tutorials online before trying your hand on the tool considering it helps in understanding the navigation, how to start, what to use etc. "good, free and light to install, with many tools." The modeling capacity is very broad, the level of tools is very professional and the results are excellent, the interface is very elaborated to have the palette of main tools in view of the user, it is a collaborative software and that is very positive for the community and greatly improves the quality of the product. "3d design available to everyone." A decent interface, with good looks and professional tools for 3d modeling, includes timeline for 3d animation and a pretty good rendering engine to start with acceptable design work, it is free software that also seems surprisingly light and with a good technical support and quality. To create games is very good and works correctly. It is in constant evolution and still needs to be a complete tool to apply in major industries as a primary design software, it is still of complementary use, it seems to me that some modeling tools work correctly only when you use a graphic drawing tablet. Modeling vehicles and engineering parts seems insufficient, precision tools are very ineffective and are little developed in that sense you should support other programs to develop the desired model. It is perfect to start a 3d mode and know all the possibilities and tools of animation and realism, if you need help you will find a lot of information on the web about the product and its use and efficiency and that is really important to be able to exploit the capabilities of the software. I use it as a complementary tool to make animations and realistic compositions and add certain effects that the program masters well. For independent work it is very useful and it is a flexible tool to work collectively in a complex project that way I can participate in several projects since it is a free software. "Excellent opportunity to enter the world of virtual reality"
The interface is less complex than it seemed at the beginning of using it, it is free and the programs to complement them are very efficient, it is a very complete program in 3d modeling and animation and the results are more than amazing, reaching to have very real appearances in the renders. The possibility of exporting and importing in different formats is ideal to allow the development of projects with different complementary tools, that makes it a very flexible program. The adaptation for architecture works may take a little more time than estimated, plus you should understand that it will be essential to complement it with other programs like unreal engine 4 to get the most professional results, some complex modeling tools are less efficient than in other programs like 3d max. must be taken into account to obtain very real and professional results should be handled well program tools which requires time and dedication in learning all available resources, but it will be worth it. I am using blender to work renders and animations of architecture projects, it is a very flexible and open program and that allows me to complement it with sketchup pro and other programs of the same line, making the visualization work much more professional since the results when It works correctly, they are amazing. "The best despite being free"
I love how customizable and flexible Blender is. If there's anything you don't like about it, you can change it. You can twist and bend the software into whatever best suits your workflow. During the last 7 years I've used Blender for whole lot of things from .svg logo designs to architectural visualization and game asset creation and animation. I've done a huge range of one-of-a-kind tasks and never faced a wall I couldn't overcome. If anything else fails, there's always python scripting that you can use to automate things and transform complex data models that would be near impossible by hand. Another beneficial feature is how you can use Blender with hotkeys almost entirely. Once you master using the keyboard that your other hand is going to reside on anyway, slowly navigating multi-level menus and pop-up dialogs feels inferior and outdated. The fact that Blender is free and worked on by volunteer programmers means that you can't often find a clear documentation on the upcoming features or release schedule. When refining your workflow you don't want to grow dependent on Blender developers improving and solving things for you, but instead you have all the means to extend and find a way forward yourself. Blender is the ideal default choice for 3D modeling since it's free and its feature set compares well to the commercial giants of the industry. If Blender is your first 3D software don't misinterpret the difficulty in grasping aspects of 3D design as difficulty with Blender in particular. Blender is free and due to GPL licencing will always stay that way so there's no risk investing your time into learning Blender or making it the company standard. With other companies these days you need to buy a per-seat subscription the price of which will vary (only upwards, most probably). Blender has great documentation, tutorials and community support on various sites on the internet, and if we're being honest that is the only support you can expect these days regardless on if you pay for the software or not. "Blender - One of the best FREE 3D Modeling Programs"
The thing I like best about Blender is that once you get the hang of all of the key shortcuts and know what things do in it, it's so easy to handle. Every day that I work in it, I end up learning something new that I can do in the program and improve on my models. The one major thing I dislike about Blender is the amount of time it takes to actually learn it. It deters a lot of people away. When I was younger, I used a different program for 3D modeling because Blender was really confusing for me. It took me over a year to effectively learn how to use it due to a highschool course I took that sped up the learning process. If you have smart staff, or if you are a smart individual who can get the hang of things easily and if you aren't hard to frustrate and give up, and you aren't willing to shell out an arm and a leg for the paid software until after you've established your business, it's a great starter program! You can pretty much create anything you want in it, sell it, do whatever you'd like. So that's a huge benefit - Practice in the free 3D modeling software, gain enough skills to be able to sell models or renders, and then if you want to, upgrade to one of the easier to navigate paid softwares. "The best free 3D software"
The best, i'ts free, so we all at the office can use it no matters if we get a new computer no extra payment needed, the software it's very user intuiteve for everyone, we manage the learning of our coworkers and they love to mess arroung, perfect for bussiness and no bussines. The posibilities over this program are beyond the infinity. They need to do more guides for newcomers, the particle system need to be perfectioned, we use this alot and this have alot of tweaks and menus that are very tiny and sometimes you can lose much time finding what you want to modify so definitely they have to improve the menus. It's free and they have a nice support, you can easy download via Steam. infraestructure building, item modeling, displays. "Blender - An excellent 3D package that does more than you expect"
One of the best parts of Blender is obviously that it's free, but it's got a whole lot of features hidden away that many people might not know about. Just to name a few of them; full 3D modelling/editing, realistic physical based rendering, video editing, UV editing, texture painting, animation, it's own built-in game engine, compositing, material editor and a whole lot more! You get so many features for free, and they all work surprisingly well. I mostly use Blender for 3D modelling and animation in game development, but I've found myself using it's other features such as the video editor purely because it was available and easy to use and I didn't need to go find some additional software. A lot of people complain about the user interface, but it's one of those things you have to give some time, especially with how reliant the software is on using hotkeys for shortcuts and navigation. Once you've got used to these, you'll soon find the software is pretty consistent with how the various features/editors use the same keys. For example, pressing 'G' triggers the grab mode, i.e with some vertices selected, pressing G will allow you to move these around with the mouse. Similarly, if you're editing some frames on a timeline, pressing G will allow you to move the selected frames around. This consistency means you'll be able to jump between the various features of Blender without having to relearn a bunch of new things each time. Another thing I like about Blender is that the software is regularly updated and new and impressive features are constantly being added and improved upon, but the main developers and the general public, this is the beauty of open source software! I recommend everyone give Blender a go, and give yourself a chance to get used to the interface and the way it works. It does some things differently to other commercial 3D software, but that's not necessarily a bad thing, so don't write it off immediately just because it doesn't work the way other software does! Although the UI has improved a lot over the years, there's still a few bits that could do with ironing out. I'm sure these things will be ironed out as time goes on, though. Blender is also lacking some more advanced features, like PBR painting, although this is likely to change as they start to introduce their new real-time PBR render engine, Eevee. It's free software, there's absolutely nothing to lose from trying it out for yourself, give it a chance and you won't regret it! I use Blender for modelling, unwrapping, texturing and animating the models for my 3D games that I develop in my spare time. "Best free 3d tool on the market"
Blender is an open source powerful CAD software which covers all aspects of CAD world. You could do 3d modelling, animation, rendering, sculpting etc. with Blender. Plus, it comes free. I want to add that Blender is the fastest launching CAD program I have ever used. It is lightning fast. The other thing I like on Blender platform is its configurable interface and user preferences. Beside this Blender has a vast plug-in library. You could select your desired plug-ins to use in your projects. Blender is a piece of nice software, but it contains a lot of features. It is not possible that one needs all of them. As a result of this feature richness, the user interface is quite complex for getting used to. You can do everything you imagined related to 3d in Blender. Today, Blender is preferred mostly by game and film industry users. But again, you could do everything related to 3d in Blender. My business is related to 3d printing. Blender provides a nice set of 3d modelling tools for 3d printing. I designed a lot of 3d models to serve my customers. "Blender is the ultimate solution for new 3D modelers"
I've been using Blender since 2009 and have been continuously impressed by their constant iterations year after year. For a platform to be available freely for users all these years is quite impressive and I laud them for their commitment. The learning curve is quite high and the interfaces aren't very intuitive. One of the drawbacks of being a free software is that creature comforts around UI and UX are typically minimal at best. Try it, it's free and worth a test. I help businesses realize the visions they're after using 3D modeled assets. Blender is available for multiple operating systems and allows for users to utilize their tech on different rigs quite easily. It's FREE for anything, forever! It's awesome to use once you get past the learning curve. It has better features, usability, and utilities than any other 3D software I have used. The new Principled BSDF shader is AMAZING and the new Eevee render engine (based on game-industry PBR) is one of the greatest upgrades in any 3D software of late. "The Best Free 3D Models Solution"
Blender is great because it is free and exists on every major platform, such as Windows, Mac OS, and Linux. Alternatives to Blender can cost thousands of dollars, or hefty subscription fees to even be eligible to use them. This keeps Blender seated near the top of the CG market, as it's one of the best solutions for hobbyists and students to learn their way around 3D modeling, rendering and designing. Blender is hard to use. Many things require learning dozens of shortcut hotkey commands to do that can be easy achieved by better UI offered by competitors. This keeps me wanting to use something other than Blender when I can. It's worth trying, but you will need to be ready to work a lot harder to learn this application than you would have to in order to learn most others. There are a lot of hotkey combos that you must learn to be able to use this software effectively and efficiently. This is the thing that keeps me away from doing more with this application more than anything else. Blender is great for file format conversion for me, and that's my primary use for it. Plugins exist for unsupported formats and it allows me to easily take and change the format of some files into something I can use in other applications more easily. This has been the best and most useful solution I've found from Blender in my time using it. "I moved to use Blender "
importing models with extension *.3ds from other 3D designing and modelling apps like autodesk 3D max, Maya, Unreal Engine and Unity. I like the free downloading from speed servers. software platform is creative and promising. tools used for creating animated films, visual effects, art, 3D printed models, interactive 3D applications and video games. It's an open source 3D software. a lot of features such as scripts, add-ons, modeling, drawing, texturing, painting. allowing to use a lot of materials and components. Blender Market is also very useful. Blender is more intuitive in some areas than 3d Max. One can create the exact same animation, asset or render in 3d Max or Blender even in Unity. difficult to use, so you need to watch tutorials first. modeling needs a couple of hours to be done . it can create short animation movies, but it's quality is less than autodesk 3d max, maya, Unreal Engine and Unity. I failed to use V-Ray 3.0 for Blender. I'd designed some animations about banners and texture for my work team. Blender features a simple and node editor which allows for advance manipulation of videos and motion tracker. Besides, blender game engine has improved, blender can be used alongside other software's like unity to build really cool games. I can build 3d models directly on blender and import to Unity.
" It is the first tool with which you enter the 3D world." When I started I had no idea of ​​a program that was easy, I loved 3D art and I thought I would never be able to use a program of this, when I got into blender I got lost, but over time I realized that it was very easy, I just had to investigate and start to make sense of the tools, I like it because it is a light platform, my computer is not so high-end and yet it gives me good results, apart from working also with human forms and I like it because it is compatible with a human modeling program that I like. What I dislike about blender is the render engine, I always try not to think that annoying grain, but I never find how to get it out, also the fact that there are actions that could be automatic, however they take a longer process, example I would like there to be an option that would work disintegrations, liquids, something that will be a little more specific without having to make so many nodes. It is a program that I recommend because it is light, if you are starting to want to do 3D do not see it complex, blender is a tool with which you can start and start to venture. Its free..! with an great community and hundreds of tutorial.. Blender is the most powerful Modeling, Animation, And visualization software out there. cycles and eevee can produce amazing results without any 3rd party renderer. I love playing with the node editor and its easiness to produce great textures . Blender is light and does not require a high end PC. Blender is a bit hard to learn.. especially the keypad shortcuts. it will require some time to get used.. but when you get better.. you can almost do anything. texturing is a bit difficult and complicated (Maybe for me.. ). "The best, free 3d Modelling and Animating software out there." The most amazing part about Blender is that it has such a large community. Many professionals use it and you can find a ton of videos to learn how to use it to make 3d models and so on. It's robust and stable and best part about it is that it's open sourced. The learning curve which may appear difficult is actually pretty easy because of this huge community. Any questions or doubts you may have can be solved by the community. The UI could have been better because some people may not figure out what's what at first, but Blender apparently is solving this soon. Go for it ! Just because it's free doesn't mean it's a low-key product. It has all the features you would find in professional softwares ! The ease of use may be a burden at first but you can learn it pretty easily in a few days. I used Blender to produce 3d Models to use in my games. It was cheap, easy and fast, while still having amazing quality. "Modeling and encouraging professional levels"
It is a free software, easy to implement and with many tips and courses online, a toolbar for complex models very complete, ideal to introduce you to the world of 3d design, renders and professional animations, it is not a heavy program, it has included an acceptable render engine and does not require equipment with high performance to perform basic jobs. has a large library and 3d files on the internet that will help you complement and facilitate your production work in addition to expanding your knowledge and facilitate design tasks by learning to use each tool efficiently. As all modeling software requires a lot of learning time and interface management, it is more dedicated to animation for animated movies and shorts, in the area of ​​furniture, objects and architecture design, you will be a bit unsatisfied with the options you have available. Being focused on the design of animated movies and video games lacks tools focused on the design of objects and pieces with defined measures and parameters, which may not always be the most useful software. It is ideal to start modeling and design in the 3d field, enter the world of production 3d takes time and this free tool will allow you to start and learn the basics to perform render productions and professional animations. In the field of design it is essential to manage all the tools available to generate the designs, some as blender allow you to make prolonged animations with very efficient and professional results since it has a variety of options designed to improve the production of scenes, views and times. "Blender - Powerful, Open-Source, Free"
Cross-compatibility, real-time viewport preview, supports Python, it's free and open-source, meaning it has an active community, making easy to find solutions for your problems and to find tutorials all over the internet. The only thing I dislike is that Blender can be difficult to use in the beginning. If you are new to 3d Modeling or comes from another program, you'll need to spend a good time to get used to the interface and hotkeys. My recommendation is to research about Blender first, watch videos of people using it, read guides and tutorials. After that, start with something small to see if Blender is the tool for you. Take some time to get used to the interface, hotkeys, and tools. I use Blender to create simple characters for animation. "My opinion about Blender is an excellent design program." I like that it is a very good software for designing scenarios, characters or objects. Allow zero design with lots of powerful tools to create geometric figures. It also has an assortment of effects for the surfaces that can be customized, for example the same texture can be dwarfed or widened by pretending to be different objects. Also allows the recording of tours in the case of wanting to recreate a stage indicating the points where the camar must pass. Finally comment that you can render both images and scene recordings, that if, for a one minute animation rendering can take quite a while. Finally add that the program is freely available for both Linux and Windows. I do not dislike anything about this software with him I had a very good experience at least in my field of work is very useful for me. I recommend you take full advantage of this Software is very good friends use it as you should have a lot of creativity.Do not be ultracompetitive, there will always be someone better than you. Therefore, do not try to compare your work with the achievements of others. Each person is unique and unique, with their own style. It makes no sense to emulate others to be just like them. "You will get almost everything you need at zero cost"
Just give it a try and you will never be disappointed . Mainly we use two other commercial packages but they are lacking lots of tools which puts us in need to purchase many additional commercial plugins at high cost, but now we are able to settle that with blender as our savior, no matter what we need fluid sims, rigid body dynamics or even advanced modeling requirements Blender can do it for free. Cost + Versatility + Rapid advancements and addon capability, Easy to learn after a short learning curve. New versions constantly being worked on, open source and a vast amount of people to consult with on a wide variety of relative issue topics. some areas not fully refined yet, the interface is still being perfected, however is mostly intuitive. Take training courses, practice a-lot, don't be afraid to try new things and fail sometimes. Download some addons and try to maintain common standards in 3d modeling and animation. "Ce logiciel a de l avenir devant lui"
Blender permet de faire des intro pour YouTube en mp4 des photo 3D de crée même de jeux YouTube de quoi faire de Blender son service graphique pour toutes les taches que l on veut. "Great for 3D design and animation"
I like how fast blender is with the workflow. The polygon modeller is also extremely fast and everything renders really smoothly. This is very comparable to other 3d programs. The sculpting tools are really easy to use and you can create almost anything with them. I do not like the lighting simulations at all. The shading feature also doesn't seem to work as well as other 3d software. I have also had problems with blender randomly crashing. Blender is one of the best free 3d design programs. If you are looking to not spend a lot of money then I would recommend you try blender. I use blender for 3d design creation. "Very few downsides to this awesome free program"
I am not a 3D artist, but I do periodically need to render 3D objects for my graphic design work. Blender is a powerful tool for modeling, sculpting, and rendering on par with Maya, Lightwave, and zBrush. It has most if not all of the features of industry standard programs, and combines them in a (relatively) simple package. Of course, I don't have the needs of a professional 3D artist, but it's an excellent program to start with at the very least, and you can't beat free. The interface appears extremely complicated and daunting at first, but once you go through enough tutorials it begins to become second nature. The 3D controls are a bit counterintuitive, but can be changed. It is not particularly easy to model hard-surface objects, but that is a limitation of the medium, not of the software. However, applications like Moi3D have made major headway into a more natural experience. If you are familiar with Illustrator and would like a similar experience in 3D, Blender will not be an easy switch. 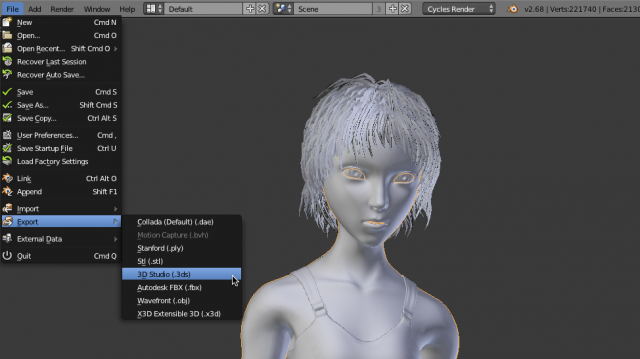 It is very similar to other 3D Art software in it's controls and interface. Moi3D is more along the lines of illustrator. If you are interested in sculpting with software like zBrush, Blender is a powerful free alternative that may meet all of your needs. I would take the time to review tutorials, many actions and features in Blender do not act like you would expect them to, but once you get used to the workflow, it is fairly simple. I use Blender when I need graphic design with clearly 3D objects, or if I want to render objects to incorporate into existing photos that I don't have access to in real life. the Variety of the colors and ability to blend the colors makes this software great. the quality of the models that makes with this app is good.supporting of the animation,2D objects,3D objects,rendering and ... is the points. the Interface of the software is complicated and it needs time to learn how to work with this.As all modeling software requires a lot of learning time and interface management. this app can be used for creating games and makes easy this industry, the other industry like filming and animationing . "Fabulous open-source software - with a learning curve"
Blender is a feature-rich 3D modeling and design program with a lot to offer. The program includes plenty of powerful tools for object creation, refinement, manipulation and animation. Particles, liquids, physics, game dynamics and more can be accomplished within Blender, and the program includes two powerful rendering engines that produce beautiful results. The toolbars pack in the many features in a reasonably intuitive way, and the appearance and organization of the toolbars and menus can be customized down to the last detail, which I appreciated quite a bit, since out-of-the-box Blender wasn't particularly easy on my eyes. Best of all, Blender is a free program, which more than makes up for it sometimes-steep learning curve. When I began using Blender, I knew that I should expect a steep learning curve and a less-friendly interface than competitor Maya. And it's true that I spent a while floundering around in Blender-- more than I would have liked! Once up-and-running, I've encountered few issues, but one of them is the frequent failure of the Boolean modifier, which allows objects to be selectively modified based on the parameters of other objects. Blender is an excellent free option, but be prepared to study the documentation thoroughly and expect a little more time to get employees started on the software. I use Blender to design and build static 3D illustrations for the web. It has tremendously extended my abilities as an illustrator, no matter the project type. My last project involved modelling medical equipment for an educational project, and I appreciated the way I could quickly build and render illustrations that were unique and stood out from the crowd. "Great for basic animations and design"
Blender is a free animaiton software ,but do not let that deter you from trying it. It is a really powerful software that I use to make 3d designs. I like how Blender offers a lot of tutorials for free on their website. A lot of other animation software does not have a lot of tutorials that they offer. Another thing that I like about Blender is that you can easily imports outside objects like textures and animations. The lighting and shadow functions also look really professional. Blender does require a computer to have a really good 3d graphics card. If you try to run the program on a computer without a very good graphics card, then Blender will lag. Overall, the software is really hard to learn. I had to watch a lot of tutorials when I first started. The user interface is also not very intuitive. The shortcut keys are also very complex. Blender is hard to learn, but there are a lot of tutorials on their website. I would recommend starting by watching a few tutorials so you wont get overwhelmed. I use blender for 3d animations and cut scenes. "Powerful free 3D tool with supportive learning community"
When I first opened the program, I had a specific animation task I needed to accomplish, but I didn't know what I was doing. Because blender is free and open source, there's a huge community of creators who provide tutorials and information that helped me learn how to do, EXACTLY what I needed for my project. If you're an avid adobe user like me, shortcuts are a problem. You'll want to use their hotkey editor to make it more similar to adobe apps... otherwise it will drive you crazy. Make sure you take advantage of the tutorials out there! This is a very complex program with tons of features, and it's user interface is a bit jumbled. Do a web search for some beginner tutorials - or even search for the specific thing you need to learn. You will likely find several videos providing step by step instructions for you. Blender enabled me to create a 3D animated online html5 ad for my employer - without needing to pay for a high-priced program. Since 3D isn't a frequent need, it's helpful that no huge investment is needed for something we only use occasionally. "Powerful program, painful interface, but unbeatable at the price--FREE!" Blender--model, render and animate 3D models, dynamic particle systems, video tracking and compositing, photorealistic results, import and export a wide range of model types to and from other software, including Alembic animations and all for free! If you have the patience for it's steep learning curve, Blender is capable of first-class results, and the active community means thousands of tutorials are just a Youtube search away. Blender's user interface is frustrating--What other program out there uses the RIGHT-CLICK as the primary selection tool? The interface, besides being confusing, changes with every new version. Being open source, sometimes promised new features arrive years late. Blender is so powerful and has so many features it's overwhelming. Approach with disclipline. Decide what aspect you want to tackle first (modelling, animation, lighting, compositing, etc...), then work through a lot of Youtube tutorials. I use Blender for light modelling and for cleaning up problem geometry with downloaded models before importing them into other animation or compositing software. Of course, being free, it's value is, literally, incaluculable. "Great Open Source Software With A Strong Future"
Blender has great modeling tools. They are intuitive, and very powerful and quick once you get the hang of a lot of the hotkeys that are almost required learning, if you have any desire to really know the program. The Cycles renderer is a great ray tracing renderer that gives the artist the ability to produce some great stuff. The pivot center system needs some work. Right out of the box it's a rather limited system that needs some tweaking to work in a robust enough way to actually compete with the likes of the action centers featured in other sofware, which are much more powerful. The keymapping is also inconsistent in some places, especially the right click select. Learning and subsequently remembering which keys do what in what area of the program is quite a process, especially since so many functions in Blender require the use of hotkeys. However, as far as I know, the next major update to the software (ver. 2.8) will bring an updated keymap to the program, as well as other usability and consistency updates. If Blender is intimidating because of the learning curve, maybe wait until 2018 to jump in and learn from scratch once version 2.8 is released. When you do learn Blender, rest assured there is a giant community that is very knowledgable, and willing to help you figure out any problems you may have. I use Blender for modeling, texturing, rendering and animation. "The Best Free Tool Out There?" There are so many useful things you can use this software for. I personally have used it for video editing and it was a lot easier to learn that I thought it would be. I only produce a few videos a year, but I always use Blender when I need to render and edit them. It can take a bit of time to learn how to use the product, but there are a lot of helpful tutorials around the internet made by the Blender community. Definitely check this out before you go and spend money on another product. It's quite powerful and easy enough to learn how to use it for whatever you are looking to do. From game design to 3D modeling and beyond. With so many expensive video editing software options out there, I was looking for something that was readily available on multiple platforms and as inexpensive as possible. Blender was the answer to everything I was looking for. I can use it on my desktop at home, and on my MacBook Pro on the go. "Free and open source 3d Modeling Software"
Definitely the best free and open source 3D modeling tool out there. The insanely high number of features available makes it as good as other AAA products on the market. It's a great resource for 3d Modeling, sculpting high quality rendering, and animation and game making. The fact that you can do all that inside one single software speeds up the whole workflow, without worrying about import/export and file formats. The community is huge and loads of tutorials and plugins are published regularly. Bugs are fixed quite quickly and they're always working on new, better and faster versions of it. At the time of this review, they have released an experimental branch of Blender which includes EEVEE, a realtime rendering engine. Can't wait to put my hands on that! The user interface is literally the biggest pain, making the first approach with the software almost unbearable. It takes quite some time to get used to it. There are literally no reasons not to use Blender, especially for starters. It's free and it's incredibly powerful. The learning curve won't be easy but there are loads and loads of resources and tutorials to make your way out of the initial mess. Modelling in blender is fast and easy, animating is also very user friendly. But the main thing is the really good rendering engine: some really good shaders and a very nice node-based system makes the crafting of materials a real fun-ride. Also the results can get top quality! the amazing tutorial provided by app makes the user's experience amazing and personally the characters provided are such detailed and this helps the users to make minor changes and blend it the way it wants. 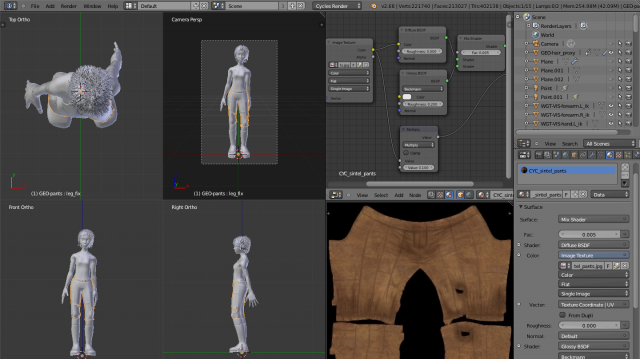 the amazing micro detail editing feature helps the users to have clarity and can express their ideas through blender. the access to importing figures in the software is a bit disappointing because it requires a specific format which is a bit confusing. the multiple features makes it a bit confusing for the newbies using the software. though there is nothing more to dislike about this software. amazing software and i would recommend this to the famous companies out there to innovate in their respective industries. my school projects are being helped by this software. the benefits i have realized are that it helps us to convey an individuals ideas with enhanced quality of the work. the app is versatile in the software industry with exceptionally amazing controls. "The best 3-d modeling software ever!!" I really enjoy how easy it is to create anything without screaming in agony like some other software. I really like the mods I can download so that I can easily make figures at ease. I really don't dislike much about the program other than the slight confusion with the lighting. It's a little difficult at first but when you learn properly it's very fun! Blender is the most powerful application for rendering. I have used blnder for 3D modeling and also for animation. The animation tools are complets. you can do everything and there is a big community which is helpful for animate what you are expecting. Th ebest think is that blender is totally a creattive commons license. I am used to the 3D modeling with solidworks and inventor. to made 3D models in blender you need to use a different way to design your thinks, and it takes a time to know how to do it. "Awesome product switched to it from a commercial application." The UI is non-overlapping, hence let me stay focused on work, includes all steps of 3d productions, from sketching concepts using grease pencil to modelling, unwrapping, texturing, shading, sculpting, baking, rigging, Camera Tracking, Animation, Rendering, Compositing and Editing + a Game Logic Editor for creating Interactive apps. An all round package, which is free for commercial use and open source, so no licensing issues. 3d pivot helps accomplish several tasks quicker. The installer is tiny (compared to any other full blown 3d app available) and the software is very stable, autosaves in background while working can continue uninterrupted. highly depends on keyboard shortcuts to accomplish tasks faster. Very limited nurbs and cad support (Import/Export of cad data), hence class-a surfacing nearly not possible. Lacks the ability to expose modified topology without coding or without collapsing the modifier stack, think edit poly modifier in 3ds Max. e.g. (Cannot select newly created faces from solidify unless modifier is collapsed). Cannot hide 3d Pivot. Lacks Sculpt Layers and cannot use Shape keys to achieve the desired result as well. Lacks Painting/Baking textures with UDIM support by default. Does not have as many 3rd party commercial plugins, however a few good ones exist (V-Ray, Indigo render), instanced geometry with hair behaves unpredictably with hair length maps (geometry does not clip based on length maps). Slightly steep learning, but with some persistence and online tutorials can be learned faster, once learned, speeds up workflow significantly. Doing a lot of image based modelling in blender, after generating point clouds in Visual SFM and importing it in blender. The ability to dynamically split viewports as required allows for multiple open viewpoints of an existing point cloud with image planes, and hence allows for much accurate 3d modelling. node editor has helped realise a lot of complex shading for cycles, compositing. Have used it to almost always quickly and cleanly unwrap geometry. Using it to quickly (within 15 minutes) create interactive configurators without typing a single line of code, to share with clients for setting reference angles of products to be rendered. "The most important piece of software I ever downloaded." Blender allows for anyone to not only dip their toes in the animation field, but it allows you to dive deep into nearly every aspect of this vast field. I got Blender to just try out this career, but five years later I am still using it, and for professional work. The tool is a bit complicated initially, however once you pick up the skills and knowledge the interface makes perfect sense. It can just be a bit intimidating initially. If you are just starting out and have not used any other animation tools then I highly recommend getting into the community on Blender artists, and Blender Guru. Those two websites will really help you to gain an edge over the initial complexity. The CG animation industry is highly technical field, and as such the tools and equipment are very expensive. 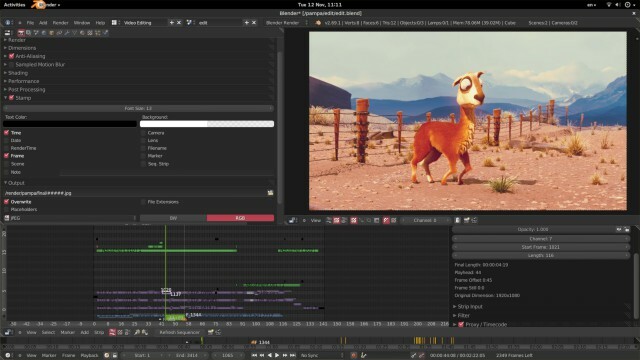 It's not the sort of thing that you would try out on a whim, but Blender solves that issue being open source and for anyone to corm into and not only get a feel for animation, but be able to compete with the higher end software as well. "The Best Alternative for a Freelancer"
The best thing about Blender is that it's free! You can use it for all your 3D/CG needs no matter if it's for a personal project or a commercial project. If you are new to the 3D world it may be a bit hard to understand. The learning curve is very steep but there are a lot of good tutorials out there to help out. At first it may be somewhat confusing, but if you push through it you will find that Blender can compete with some of the industry standard programs used. And given the price (have I mentioned that it is free to use? ), you'll be doing yourself a favor in spending a few hours learning how to use it. If you have a very low budget or a small studio/company you might want to save every penny you can. Since Blender is free to use, you don't have to pay anything! It also runs on all major operating systems (Windows, Mac & Linux). All you gotta do is download, install and run. One of the benefits is that all the money you save on buying software you now don't need, you can put it towards better hardware and other equipment. "Perhaps your best 3D choice (And its free!)" The software as is, is perhaps one of the most complete 3D programs out there. Even though it's not an industry standard it is as powerful as its counterparts. I think the best part of Blender is its modelling workflow. Even though it doesn't have too many modelling tools, the ones that come with the program are powerful enough to speed up your modelling process even if you are an experienced 3d artist. The fact that it has other tools like sculpting and animation within makes transitions from one to another really smooth, without having to export/import to create high quality models/animations. The community is great and is constantly growing. Bugs are fixed really quick and it gets huge improvements with every new version. And if there is a tool that you think is missing in the moment, you'll probably find an Addon that will solve it. Its interface is not as user friendly as I would like, therefore the learning curve is a bit steep at the very beginning. Not many big studios use it in their workflow. There are a lot of tutorials out there to help you. Start with the very basics, like its interface, which is a little bit confusing at the beginning. Try to learn as many shortcuts as you can since it will speed up your workflow a lot. Modelling and animating in Blender is really fast, and whenever we need a 3D model, or we want to modify an existing one the process is really simple. Export/import formats work perfectly if you use multiple programs in your workflow too.